ARIPO: Patent Applications | Smit & Van Wyk, Inc.
Patent protection is obtainable through a national filing or ARIPO. Botswana, Eswatini (formerly Swaziland), Gambia, Ghana, Kenya, Lesotho, Liberia, Malawi, Mozambique, Namibia, Rwanda, Sao Tome e Principe, Sierra Leone, Sudan (excluding South Sudan), Tanzania (including Zanzibar), Uganda, Zambia, Zimbabwe. Must be filed within 2 months of the filing date. If applicable, together with a verified English translation. 31 months from earliest priority date for entering regional phase under PCT. It is mandatory to file a request for substantive examination for every patent application within 3 years of the priority date (if priority is claimed) or from the date of filing. Patent applications will only be examined upon payment of the examination fees. Payment of examination fees will be mandatory for all ARIPO applications, including PCT applications entering the regional/national phase. Annual maintenance fees are payable from the first anniversary of the filing date or from the PCT International filing date. Renewal fee costs are dependent on the number of designated states. There is a 6-month grace period to pay the maintenance fees, with the payment of a fine. 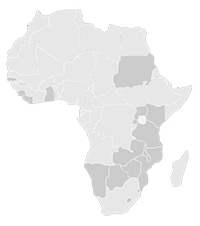 Smit & van Wyk, Inc. patent agents in Africa: Our services include patent filings, maintenance and protection for ARIPO. The patent and trademark attorneys at our firm are dedicated individuals, skilled in their fields of practice, and can provide clear advice on complex legal matters to clients from all over the world.